Carmel, Indiana is located within Hamilton County. This suburb was honored by CNN Money Magazine as being one of the best places to live. It’s a fast-growing community and the fifth largest city in Indiana. If you live within Carmel, Frank & Kraft can provide you with help in taking care of legal issues in connection with estate planning. We also provide representation and support to people whose loved ones have passed away. When a death occurs, assets typically must transfer through the probate process and surviving family members must understand what is involved in this process and get the help they need to protect assets and ensures the wishes of the deceased are met. If you have been named executor of an estate, you stand to inherit after a death, or your loved one has passed away and you wish to contest a will that is being probated, you should reach out to our Carmel, Indiana estate planning lawyers to get personalized help. We can provide the assistance you need to ensure the probate process goes smoothly. You can also take advantage of the probate resources prepared below to understand more about how the probate process works and what to expect when a will is probated. The Hamilton County Courts website: Here, you can find locations of probate courts in Indiana, local court rules, details on the county holidays that the court observes, court forms, and more. Because probate must take place in the county where a deceased person owned property or resided, when someone dies in Carmel, Indiana, the probate proceedings will take place in the Hamilton County court system. Local Probate Rules for Hamilton County: Here, you can find deals about all of the different rules applicable within Hamilton County that apply to probate proceedings. You can learn about the role of the executor of an estate, what a fiduciary duty is, when and how fees can be charged, how guardianships work, and when and how notice must be provided in connection with probate proceedings. Probate Forms for Hamilton County: An extensive amount of paperwork must be completed in most probate proceedings. You can find the applicable forms for probate in Hamilton County on the court’s website. There are many different forms you may need, including forms related to personal representatives and guardians. Understanding all of the legal forms and the technical legal requirements associated with the probate process can be complicated, but Frank & Kraft can provide the help and support you need to make sure the probate process goes smoothly. Inheritance Tax Information from the Indiana Department of Revenue: The Indiana Department of Revenue explains that no inheritance tax is charged for individuals who passed away after December 31, 2012. The website also explains what an inheritance tax is, and provides a FAQ page for those who need more information on inheritance taxes. The IRS estate tax website: Although tax reform in December 2017 changed the threshold for when tax is charged on an estate, there is still a federal estate tax in place. The IRS website explains the circumstances under which an estate tax will be charged and provides details on how estate tax works. You can visit this website to learn whether your estate is going to be taxed by the federal government after your death. If your estate is going to be subject to taxation, you need to understand the implications of what this means for your heirs or beneficiaries. You should also work with an experienced attorney to find ways to try to reduce the amount of your wealth that is taxed or to avoid estate tax altogether so your loved ones can inherit the maximum value of assets instead of a lot of money going to the government. Frank & Kraft can help you to explore ways to reduce or avoid estate tax, so you should give us a call as soon as possible so we can help you to work on a comprehensive estate plan. The Indiana Probate Code: This is found within Title 29 and it includes all of the state rules for probate proceedings. Tile 29 is divided into four different sections: the probate court; miscellaneous provisions of the law; guardianship and protective proceedings; and the Uniform Adult Guardianship and Protective Proceedings Jurisdiction Act. If you are going to probate court because a loved one has died and you need to probate his estate or if you are going to probate court to get a guardianship and conservatorship named for an incapacitated loved one, you’ll need to know the laws within the probate court. Legal Research Resources: To help Indiana residents understand more about the law, the Indiana Judicial Branch has prepared a legal resources page. On this page, you can find links to court rules, Indiana law libraries, law dictionaries, and more. Navigating all of these resources and trying to figure out the law on your own can be complicated and there is no substitute for legal advice. However, these resources can provide a lot of information if you hope to learn more about how Indiana law works. While learning about the law and being proactive in understanding your rights is important, you should make certain you get the right legal help to make the probate process go smoothly and to ensure an inheritance is protected. 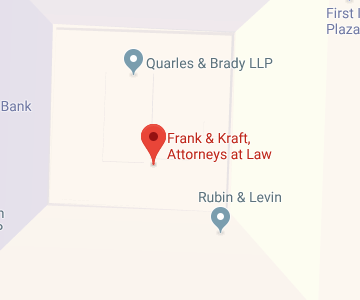 Frank & Kraft can provide the personalized help you need. To find out more about how our Carmel, Indiana probate lawyers can help you, join us for a free seminar. You can also give us a call at 317-684-1100 or contact us online today.